Fragility fractures occur from very minimal trauma or a fall from a standing height that results in a broken bone. Since fractures can occur easily, it’s important to take as many precautions as you can to avoid tripping on the things around our bathrooms that are potentially hazardous. Here’s a list of things to help keep you from stumbling in your bathroom where most of the household injuries occur. Grab bars can be installed in your shower so you don’t lose your balance on a slippery surface. Grab bars are easy to install, so use them to protect yourself while showering. Rubber mats can be placed in your shower to prevent sliding on a slick shower surface. 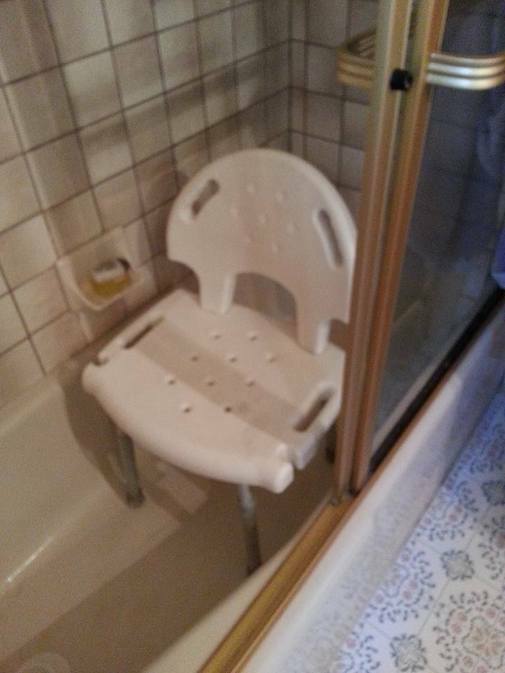 Shower chairs help for those who need to limit their time standing, due to a fracture or injury. Once we’ve injured ourselves excessive standing can cause dizziness. Long-handled shower brushes can be used to wash the parts of your body that are out of reach or that require bending to wash. With one of these brushes you can remain upright while washing, which will protect from a fragility fracture that could occur while bending your spine. An elevated toilet seat also helps to assist you in standing up from the toilet. These elevated seats can come with arms to help you to get up to stand. These seats may become necessary if you are recovering from a fracture and can’t bend forward. 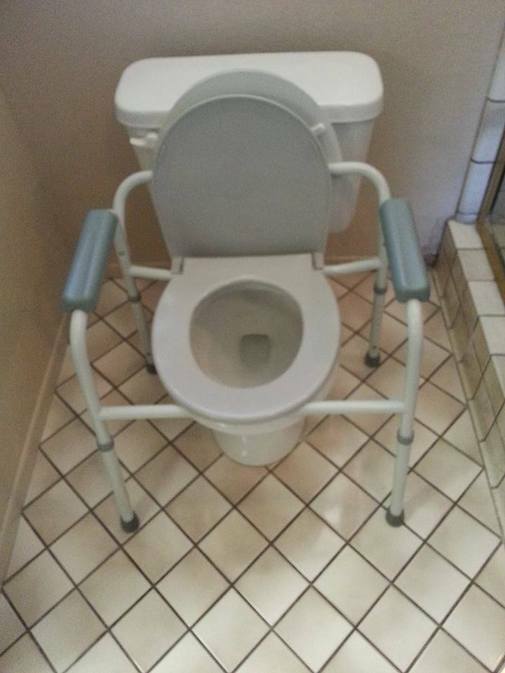 Our legs can become weak from bed rest, after an injury, so you doctor may order one of these to be used until you can navigate your house and bathroom safely after a period of recovery. Shower organizers are very helpful so you aren’t spending time trying to find the things you need in the shower that require movement on a wet surface. Night lights come in handy when you need additional light at night illuminating your way from your bed to the bathroom. You may also need to take medications at night, so having this light will help you to find what you need in the middle of the night. Waterless shampoo and body washes are used frequently for those who can’t take a shower because they can’t get their stitches wet. You don’t want to push yourself too soon because showering and washing is very painful in the beginning of rehabilitation and surgical recovery, so using these types of soaps can prevent further injury and prevent falls that would normally occur in the bathroom. Non-slip drying mat placed outside of the shower will also prevent slipping when getting out of the shower with wet feet. It’s important to take as many precautions as you can in the bathroom to prevent falling and in staying safe during fracture recovery. Pool shoes can be used by those who have trouble finding a shower mat that won’t stay in place on a tile surface. These are mostly used in pools, to aid in walking during aqua therapy, but many use these in the shower because they have a good non-slip sole and are designed for use with water where you’d might slip when your feet are wet. Take these precautions to protect yourselves from injury and possible osteoporotic fractures. Pam is a patient educator and digital health writer who has worked for Remedy Health Media on their osteoporosis web site since 2008. Pam is also a group leader and moderator with the National Osteoporosis Foundation Inspire online community since 2012, answering questions and guiding members who are newly diagnosed with bone loss.